The 42nd Annual National Indian Timber Symposium was held the week of June 4, 2018, in Ocean Shores, Washington, and hosted by the Quinault Indian Nation. One of the workshops held on June 4 was on Forest Technology and Standing Inventory and featured Dr. Jim Arney and Dr. Dan Opalach from FBRI, and Zach Parisa and Max Nova from SilviaTerra. All four were invited by Larry Wiechelman, the workshop moderator, to share their perspectives on stand-based inventories and respond to questions from attendees. The entire session went for two hours. Mr. Wiechelman also asked Dr. Arney and Dr. Opalach to make a second set of presentations to workshop attendees on site index and its role in forest management. This second session went for two hours as well. Mr. Nova and Mr. Parisa spoke first and told workshop participants about their new approach to forest inventory that relies on various sources of remotely sensed satellite data and FIA inventory data to develop a “wall-to-wall” forest inventory for a forest landowner. Dr. Opalach followed with a forest inventory case history that focused on the evolution of Green Diamond’s forest inventory system over time beginning with a CFI system in 1969 to its current state today which utilizes FPS and a stand-based inventory where 80%+ of the forest stands have a recent variable-plot cruise. Dr. Arney then demonstrated to attendees (using FPS) what might happen to a forest inventory, from a statistical perspective, as the percentage of sampled stands increases from 5% to 100%, or is based on one of the new approaches that utilizes LiDAR data with a small ground sample of plot data for “training” purposes. Shown below (see Figure 1) is one of Dr. Arney’s PowerPoint slides that illustrates one of the problems with the LiDAR approach. 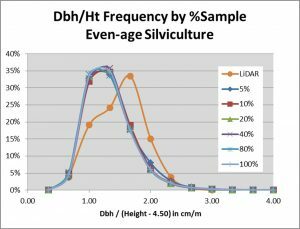 In this case, the chart shows that Dbh/Ht ratios can be way off for the LiDAR approach yet surprisingly consistent over all sampling percentages from 5% to 100%. The take home message is the need to be wary of untested forest inventory systems that rely on relatively small percentages of ground samples (less than 5%!). FBRI remains cautiously optimistic that advances in remote sensing technology will eventually lead to data that can appropriately be combined with ground data to develop an accurate and precise forest inventory. Stay tuned. Figure 1. This chart shows the impact of sampling percentage on the frequency distribution of Dbh/Ht ratios. Also included in the chart is the frequency distribution for the LiDAR approach. It is noteworthy that for this important stand descriptor—Dbh/Ht ratios—the LiDAR approach produces unacceptable results. Dr. Opalach started the session with a presentation titled Site Index: Looking Through the Rearview Mirror. The purpose of the presentation was two-fold: (1) to provide attendees with an overview of various ways to measure site quality, and (2) to provide attendees with the background information on the flexibility and need for Dr. Arney’s 10m site index system. Dr. Arney followed, of course, with a presentation on the development and use of his 10m site index system. 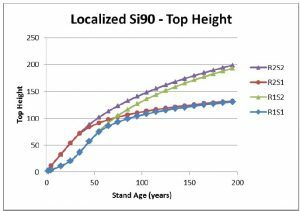 The system has tremendous flexibility in that foresters now have the ability to modify a site curve for a given stand based on young stand management (i.e., silvicultural treatments), its macro-site capacity, and any limiting factors associated with the site that reduce growth over the long-term. Dr. Arney presented a series of slides that demonstrated the wide range in curves that his 10m system is capable of modeling (for example, see Figure 2). He also demonstrated the deficiencies of traditional site index systems in that they “hard wire” early stand growth and have no means of dealing with a site’s limiting factors that can have a tremendous impact on growth over the long-term (for example, see Figure 3). Figure 2—Top height trends by %Regen and %Shape. Each of these curves represent different stands that have the same macro-site index but different early stand growth due to silvicultural investments (%Regen) and different growth later in stand age due to limiting factors associated with the site (%Shape). Figure 3—Display of actual growth rates from 620 felled trees compared to published curves. 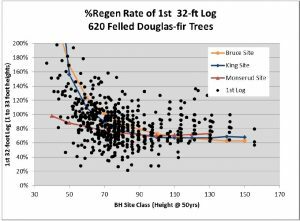 Traditional site index systems do not have the capability of modeling the range of growth responses that are associated with the various ways in which young Douglas-fir stands are managed throughout the west. How did you pick 34 feet, 67 feet, and 100 feet as the measurement points for your 10m site index system? How can the 10m system be applied in the Lake States where hardwood trees rarely get above 70 feet in total height? What environmental variables should be used in the 10m site system given the lack of topographic relief in the Lake States? Do you want to know the answers? Use the contact form below to email Dan Opalach. In addition to Dr. Arney and Dr. Opalach, Brock Purvis (FBRI Technical Support) attended the symposium and was available to answer questions directed to him. It is important for FBRI to go to events such as the National Indian Timber Symposium to make sure foresters and land managers throughout North America are aware of the unique features of FPS, the decades of technical support and forest biometrics experience that come with joining FBRI as a supporting organization, and the benefits of using the integrated forest inventory, growth & yield, and forest planning modules built into FPS. 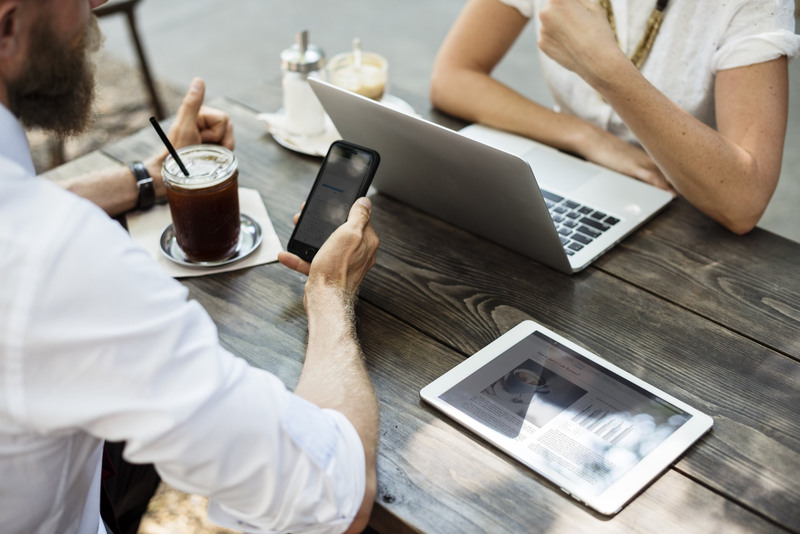 For those of you interested in learning more about FBRI’s software and services, contact Dan Opalach at (971) 940-2409 or use the contact form below.